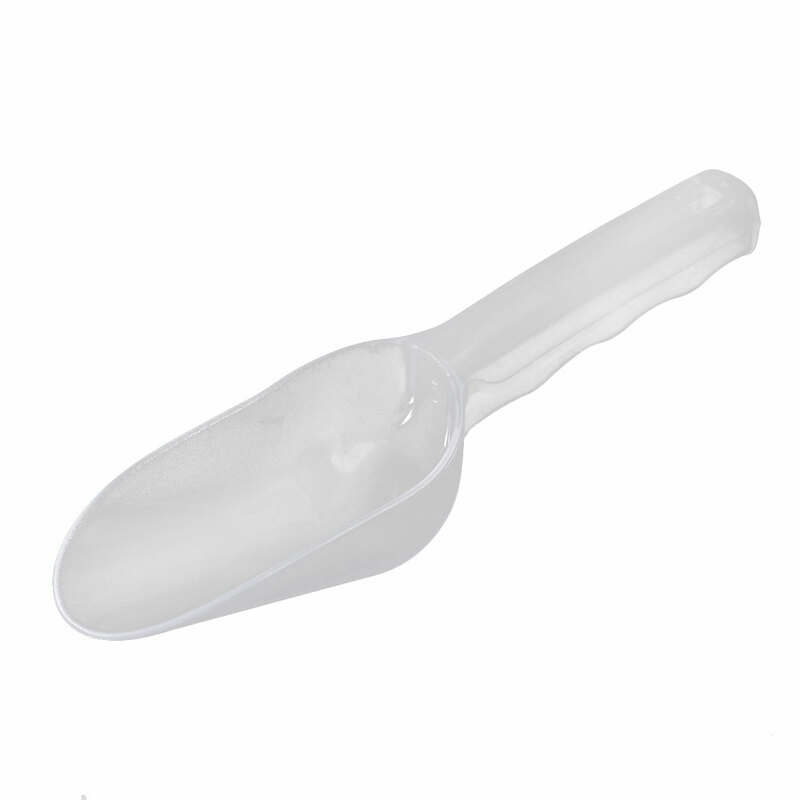 Food Scoop for ice and ingredient bins; designed for even weight distribution. Made of white polycarbonate construction which is durable, break-resistant, and resists oil and grease. Features smooth surface so cleaning it is easy.